A new report shows financial worries around health care, education, child care and frequent moves are a major source of stress for military and veteran families. The report, released Thursday, is based off a survey last fall of 5,650 individuals over about two months. The survey combined simple multiple choice questions, known as “quantitative,” with individual, qualitative, responses. The last MFAN study was conducted in 2014. About 43 percent of respondents were active-duty troops or family members, while 33 percent were veterans or veteran family members. More than 70 percent of respondents self-identified as enlisted troops or family members, while 33 percent of those said they were E-5 to E-6. While respondents didn’t specifically identify “finances” as their top support need — only six percent said finances was their top issue, while 29 percent said health care — digging into the responses showed that financial strain was what was largely behind the larger concerns, MFAN officials said. “While finances didn’t bubble to the top when respondents were asked what support they needed, their answers to later questions told a different story,” the report notes. For example, the report states, 60 percent of respondents said they don’t have enough savings to cover three months of living expenses. Paying for mental health care was shown to be a major barrier to getting help; those who said they have trouble finding child care identified cost as the top reason; and almost 80 percent said military moves cause high financial stress. Kimball said her team was surprised by the number of respondents, about 15 percent, who said they have trouble putting food on the table. “I think the food insecurity finding was kind of a shock to us to see it in black and white that way,” she said. About 22,000 active-duty troops used food stamps in 2013, the last year for which data were available, according to a 2016 Government Accountability Office Report. The report recommends military officials and lawmakers expand financial education and seek out families who are struggling. “Throughout these results, military families described financial burdens linked to both active-duty service and the transition and eventual exit from the military: They are going into debt to pay for moving expenses, unable to find child care, unwilling to move forward in their educational ventures, forgoing health care, and feeling the mental and physical effects of financial stress,” the report states. 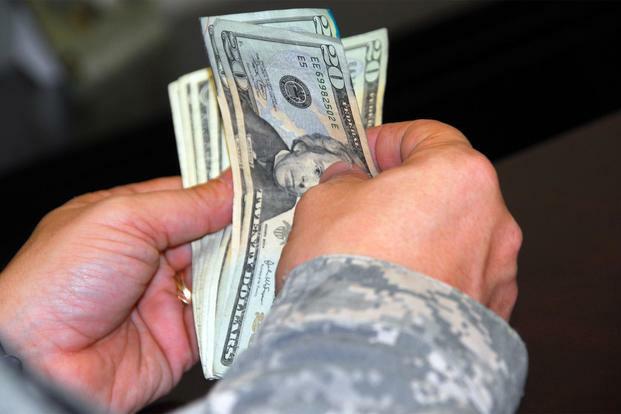 “Financial education should not be limited to the beginning of a service member’s career but instead attached to the experiences that cause financial strain,” it continues. The report also suggests officials work harder to develop private-public partnerships with civilian communities. Since families already look for help from non-profits and their support system outside base, the report says, fostering better partnerships can help families feel like they fit into the civilian world. “Forging partnerships between military and civilian support systems will encourage pathways of understanding,” the report’s recommendations say.